Reliable safety and security at an affordable price! 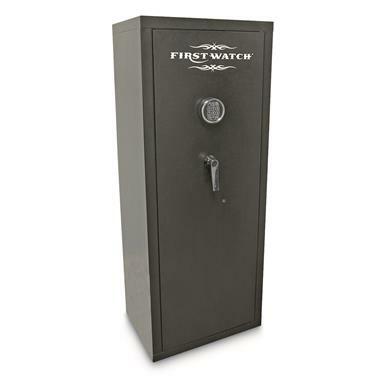 Secure your guns and other valuable possessions inside this rugged First Watch® 12-gun RTA Safe. It features a 1.5mm steel frame and door, high-security tubular locking system with 4 live-action locking bolts, and reprogrammable electronic keypad with lock-out. 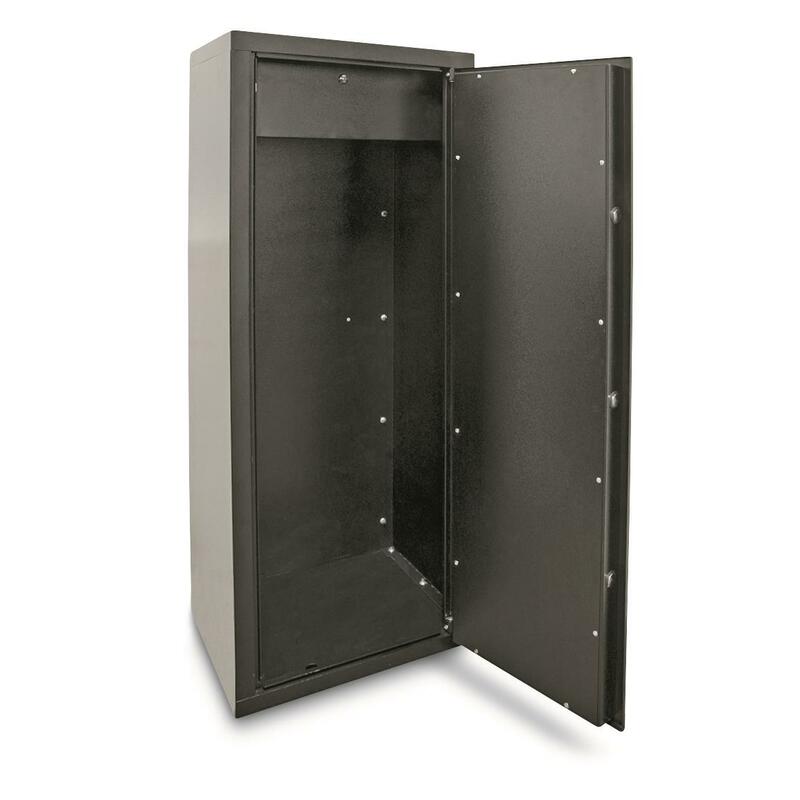 Plus, a locking interior ammo box ideal for ammo, handguns and small valuables. Modeled barrel rests provide organization and gentle handling of your rifles. Compact footprint is perfect for smaller spaces. Simple assembly required. Interior Capacity: 8.52 cu. ft.
Ammo Box Capacity: 0.41 cu. ft.